This holiday season, have your game on and make a jaw dropping appetizer the whole crowd will devour. 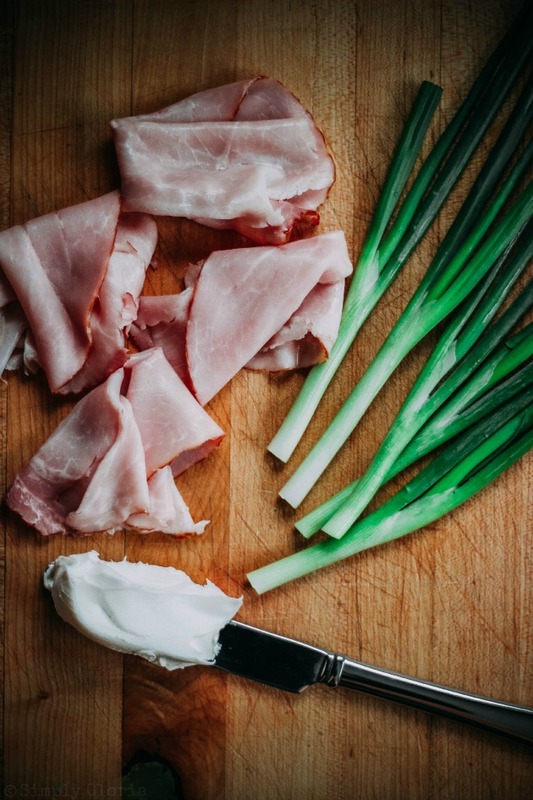 With these easy-to-grab Green Onion Meat Wraps, they’ll be gone in seconds! Hi everyone! 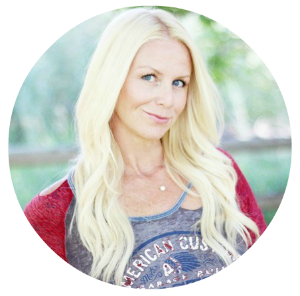 It’s me, Gloria from over at Simply Gloria and I’m so excited to share with you this easy recipe to serve your guests. Whether you’re watching the game or hanging around the relatives this holiday season, you for sure want to wow all of them with maybe something a little different. 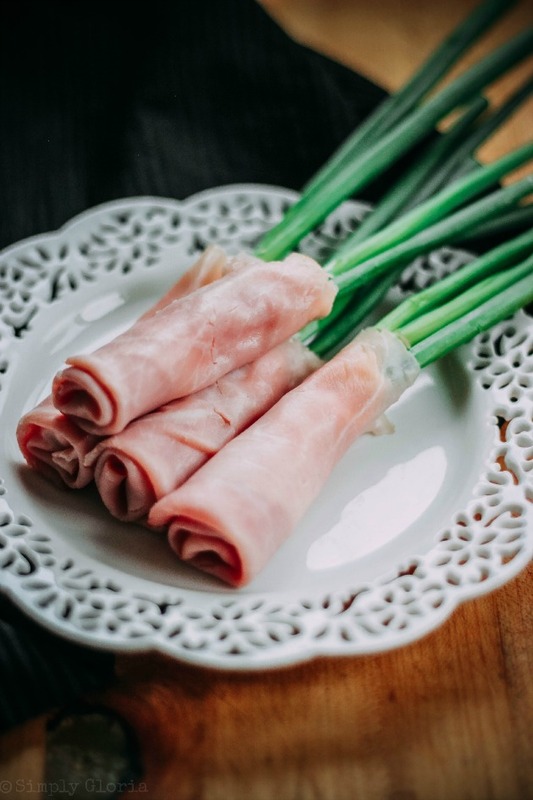 With only 3 ingredients to make these Green Onion Meat Wraps, you can’t go wrong! 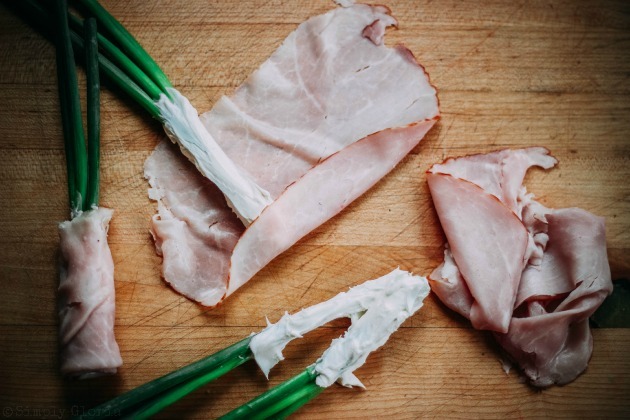 That’s right, only 3 simple ingredients… cream cheese, trimmed green onions and your favorite deli meat. 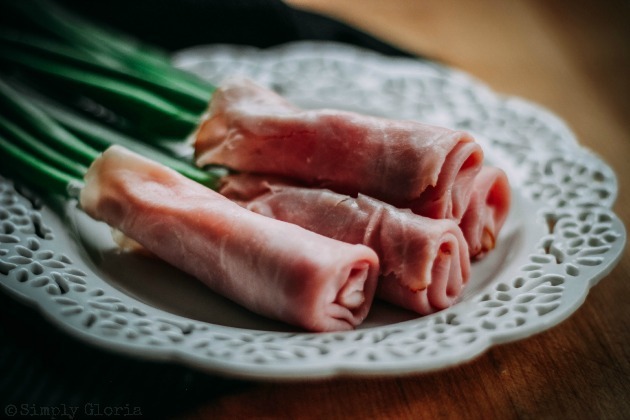 My advice is to spend some time at the deli counter and have them thinly slice the meat for you. Besides, if you haven’t spent much time over there lately, you may be eye-balling and drooling at all the choices you have! 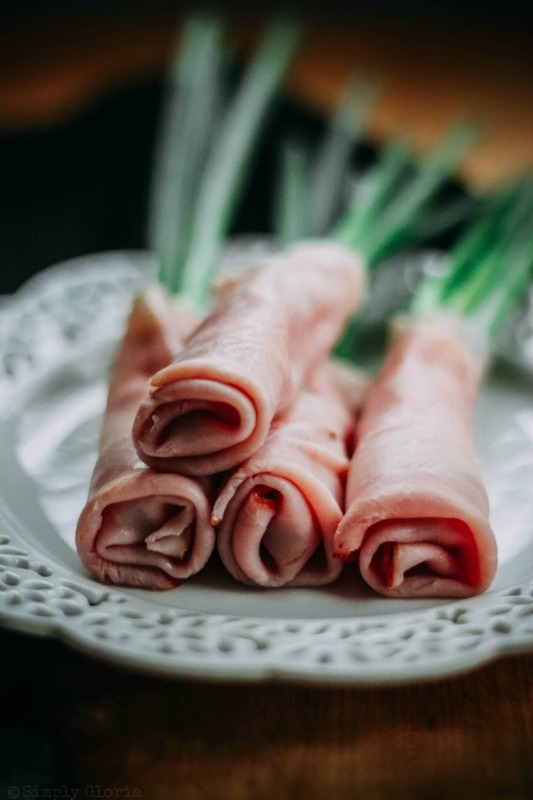 Tavern ham, Cajun roast beef, buffalo chicken, prosciutto are just a few of my favorites to wrap these green sticks with. After rinsing the green onions with cold water, trim the tops about an inch down. Trim the roots off of the bulbs, as well. (The white part.) Pat dry and peel off any bad part that is lingering around the bulb. Scoop about 2 teaspoons of cream cheese onto the ends covering the bulbs and spreading it up a little. Enjoy and see you back here next time with a fun holiday treat!